If you’re like most people, you don’t spend too much time thinking about the risk of injury to the people who are delivering packages or other items to your home or place of work. Whether it’s local companies like your favorite pizza place or some of the leading online retailers such as Amazon, Walmart, and Target, the drivers making the deliveries encounter some of the worst weather conditions while driving or delivering the items to your front door or your place of business. Holiday seasons can be especially dangerous for people delivering packages due to the unsafe conditions caused by inclement weather, including snow, ice and freezing rain. In addition, with the increased demand for package delivery during the holidays, delivery people are susceptible to the increased stress that comes with having to stick to a very tight schedule to ensure that their deliveries are made on time. The increased stress of trying to stay on schedule coupled with all of the traffic on the roadways during the holidays and the possibility of poor weather conditions can result in crashes involving delivery vehicles that can be catastrophic. A company like Amazon, for example, often subcontracts with privately-owned delivery providers to deliver your packages. The delivery provider is responsible for the safety, scheduling, and payment of their employees delivering Amazon packages. If you’re a delivery person and are involved in an accident while on the road or a slip and fall accident while delivering a package to someone’s front door, and if these accidents resulted in injuries or damages, you may be able to receive compensation through a personal injury lawsuit. These types of cases can be complex when it comes to determining liability for any injuries and/property damage that resulted from the accident, so it’s important that you consider hiring a personal injury attorney to work on your behalf. 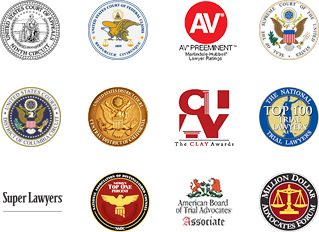 Greg Yates, Los Angeles, California personal injury and catastrophic injury lawyer, is considered to be one of the best PI attorneys in the L.A. area. With more than 30 years of experience when it comes to litigating personal injury cases, Greg Yates has successfully recovered, along with his associates, millions of dollar in settlements, jury verdicts, and awards. If you’re a delivery driver for Amazon and have been involved in an accident with a company vehicle, it may be difficult to determine who bears liability in a compensation claim or lawsuit. Depending on the circumstances surrounding the accident, the responsibility could fall on Amazon, the subcontractor, or you, the driver. It’s possible that all parties involved could be found to be collectively at fault. In slip and fall cases, the property owner may be found to be liable. Therefore, it’s in your best interest to enlist the services of an experienced PI attorney who can investigate your case, collect relevant evidence, speak to any witnesses, and work to build a case for compensation. 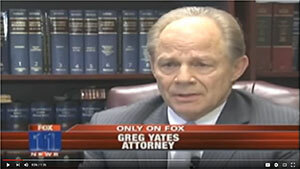 Call the offices of Greg Yates, Los Angeles personal injury attorney, to schedule your free consultation.